Since its invention in the late 1800's, cereal has become an essential breakfast food on most kitchen tables. As grocery aisles of brightly coloured boxes expand, the contents shift between a healthy protein rich start to the day and a sugary sweet treat sure to delight. Cereal was first invented as a dietary aid. And when you examine the ingredients historically utilized in cereal and those that make the basis of all cereal, this makes sense. The base ingredients in cereal comes from cereal grains and although many cereals today use refined cereal grains, the basis of the product continues to be in the tiny edible grains found at the top of grasses planted and harvested specifically for their grains. So cereal is quite literally named after the cereal grains that makes the basis for the product. 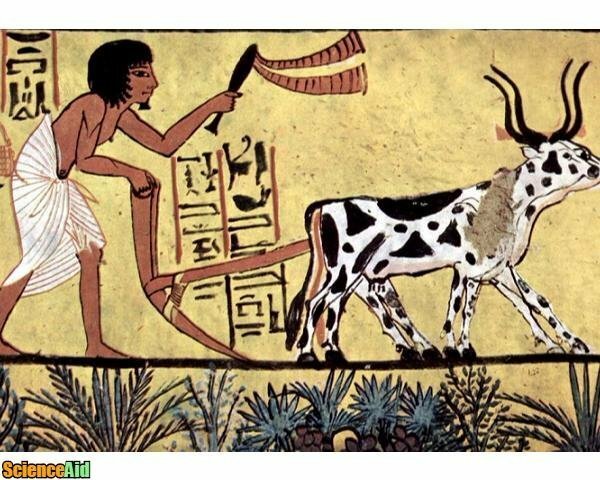 As cereal evolved, refinement increased creating products that looked very different than their whole grain ancestors. Think of the differences between Shredded Wheat or plain Oatmeal and Sugar Crisp or Lucky Charms. The latter certainly use more refined grains than the former, however, you can still identify the grain qualities in refined cereals. As people in the developed world have become more conscious about healthy eating and limiting refined foods, the cereal industry has evolved to include healthier choices, throwing themselves back into whole grains and minimizing refined grains in the products. Cereal grains are not just vital to Snap, Crackle and Popping our morning routines, but are one of the most important sources of plant food our global food source and economy are dependent. The Food and Agriculture Organization of the United Nations reported "the harvested production of cereals (including rice) in the EU was 317 million tonnes in 2015. This represented about 12.5 % of global cereal production. The Department reports the "world cereal utilization in 2016/17 is currently put at nearly 2.546 million tonnes, or 0.9 percent above the 2015/16 estimate . That's a lot of grains feeding a lot of people. 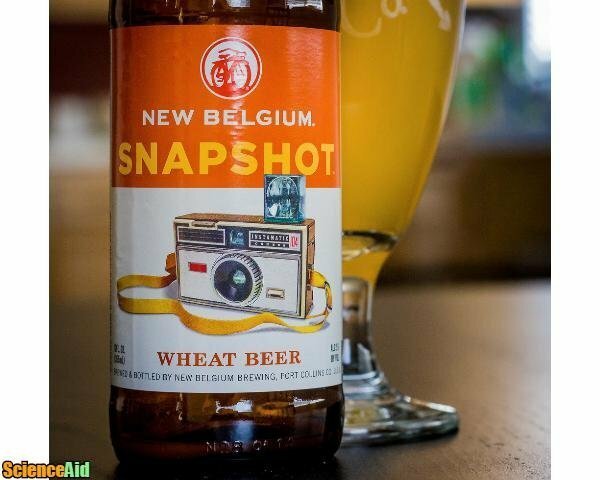 When you think of wheat, you probably get a very vivid mental image of a long vast wheat field, the sun shining down while the tips of the wheat pronged and waving in the wind. Those little waving quills on the end of the wheat is the edible part of the grass or the grain. 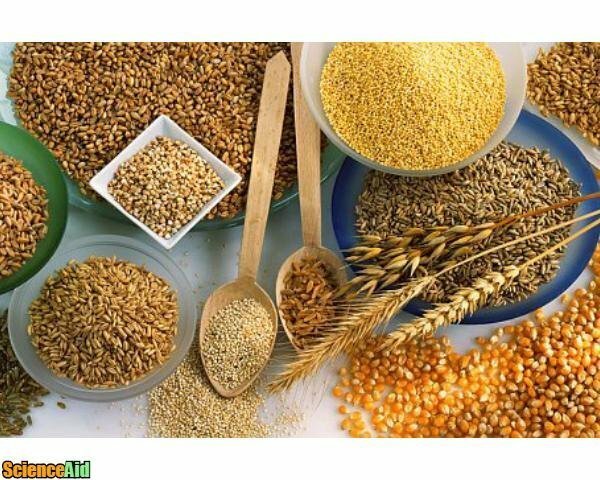 Cereal grains are plants farmed specifically for the edible components of its grain. Three cereal grains: wheat, rice and maize (corn) are the most significant grains as they are consumed in one form or another in mass amounts globally. These three grains that make up the trifecta of cereal grains belong to the plant family Poaceae. Cereal grains are further divided into sub-groups as major cereal and minor cereal. The Poaceae is part of the grass family and is one of the biggest monocotyledons, consisting of over 600 genera and over 6000 different species. The flower head of a Poaceae consists of multiple spikelet or sessile generally at the end of a stalk. Each unit is called spikelet, and a spike of spikelets is called Triticum or a panicle of spikelets is called Avena . The part of the spikelets that bear florets is called rachilla. The glumes enclose two to five florets which are born on a short axis or rachilla. The grain (fruit) of the Poaceae family is called caryopsis. All the cereal grains except buckwheat have caryopses. The caryopsis is 70% carbohydrates (starch) and 9-14% protein and oil. The caryopsis (seed) of certain plants contains enough percentage of oil to be a source of oil for humans (i.e corn oil). Because the ovary wall of the caryopsis is fused with the seed coat, separation is difficult and must be done through special milling processes. 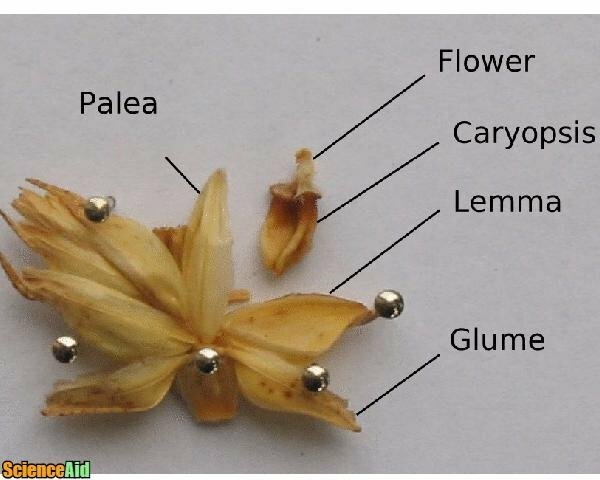 The outside of the seed is made called the seed coat and consists of three layers, the pericarp, testa, and aleurone. 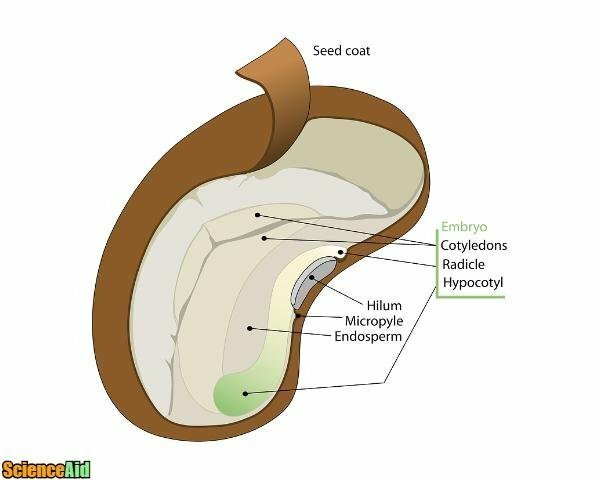 Inside the seed is the embryo and the endosperm. The embryo makes up only a small percentage of the grain but contains the root radicle and the shoot apex surrounded by the coleoptile while the endosperm makes up to 80% of the grain which stores the starch and protein needed for the development of the plant as well as protein production. The botanical name for Wheat is Triticum aestivum from the family Poaceae. It is also commonly known as bread wheat. Wheat is the most widely grown cereal grain, with the total wheat output in 2016 at 724 million tonnes. Wheat is the staple food for 35 percent of the world's population and provides more calories and protein in the diet than any other crop . Because wheat is healthiest growing in cool, dry weather crops are generally grown between the months of October to December in South Asian nations and from March-May in North America. Over the last three decades, the U.S. and Canada have been experimenting with winter wheat planted in the fall months of August-September and harvested before spring. The wheat flower does not have petals or sepals. 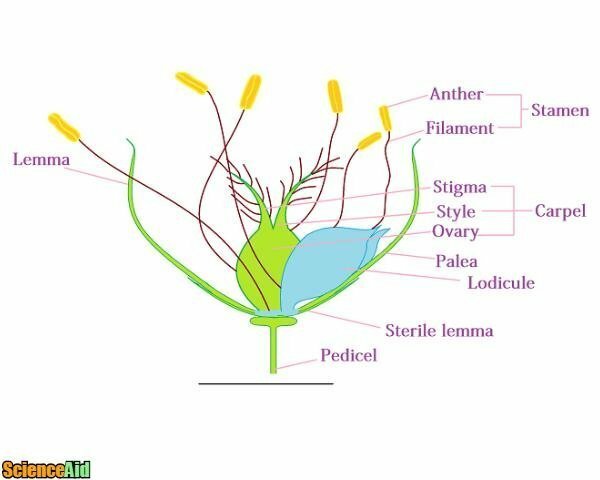 Each female flower consists of an ovary from which two styles emerge ending with two feathery stigmas each. The male flowers have three stamens that are generally gold or green in color. Wheat generally self-pollinates. Each wheat flower is covered by an outer glume called lemma and an inner glume called palea. Lemma is larger than the palea. Three to five such flowers, attached alternately to opposite sides of a central axis or rachilla and subtended by two empty scales, make up the spikelet. 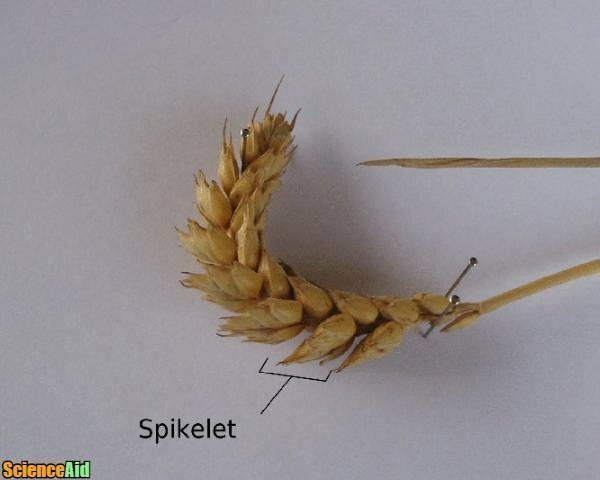 Each spikelet of wheat is also known as ear. 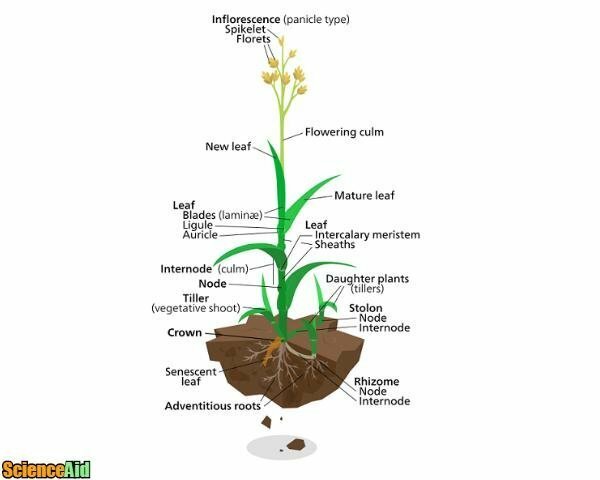 The entire inflorescence, usually consisting of 15-25 spikelets is called a spike or a head of wheat. A grain of wheat is on average between 5-9mm in length and 30-50mg in weight. The grain has a single cotyledon and when dissected can be divided into three main parts. The outer layer or the seed covering is called the wheat bran and protects the main part of the kernel. The bran comprises about 15 percent of the seed weight. 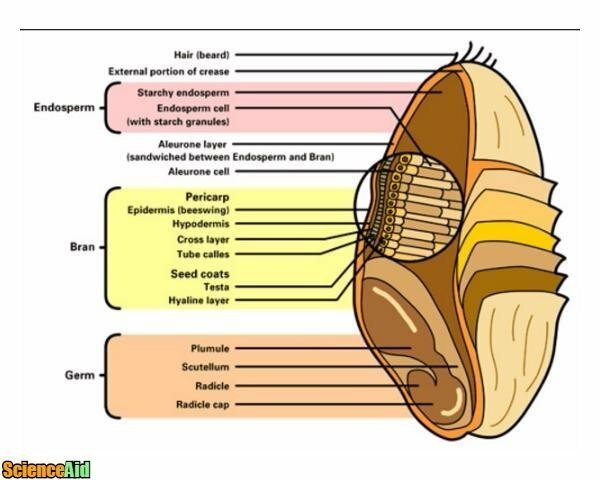 Bran can be further divided into the pericarp which consists of epidermis, hypodermis, cross layer, tube cells, seed coats, and hyaline layer. The bran is a source of protein, large quantities of the three major B-vitamins, trace minerals, and dietary fiber. Endosperm is the main part of the seed and it accounts for 80 percent of the seed weight. It consists of starchy endosperm and endosperm cell. This layer contains the greatest share of protein, carbohydrates, and iron, as well as the major B-vitamins, such as riboflavin, niacin, and thiamine. The germ lies at one end of the seed and is a tiny part of the kernel. The germ is responsible for germination when planted in soil. It is a rich source of B-complex vitamins, oil, vitamin E and natural plant fat. 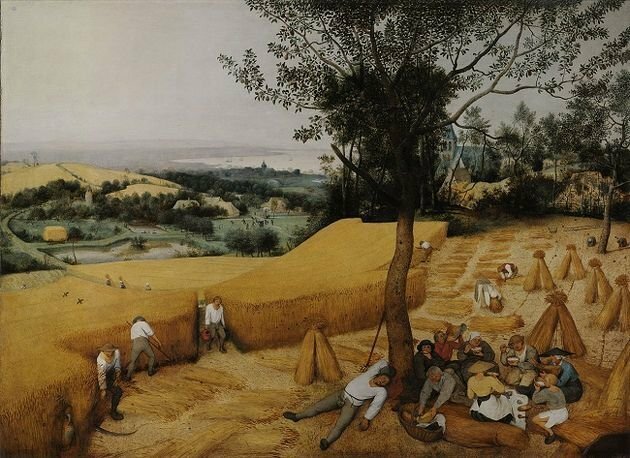 The origins and the first dated use of wheat have been a contentious debate. A very likely place of origin is the area known in early historical times as the Fertile Crescent - a region with rich soils in the upper reaches of the Tigris-Euphrates drainage basin which today falls in the countries of Syria, Iraq, and Turkey. Wheat was cultivated between the late fifth and early fourth millennium BC in southern Caucasus in neolithic settlements. Evidence also shows wheat discovered at several sites in the Crimea Era (1000-900 B.C.) which matches archaeological findings of wheat in Israel from the same period. Although wheat has been cultivated and used heavily for thousands of years, the plants have experienced natural evolution as well as scientific modifications. Today, wheat strains have been modified and improved upon to maximize grain output, grain dietary contents and a diversity of grain usages. Variations in wheat strains have also enhanced the ability of wheat to grow globally in differing growing conditions. Modern wheat varieties are usually classified as winter wheat (fall-planted and unusually winter hardy for grain crops) and spring wheat, while ancient wheat such as spelt, emmer or farro are closely related to a wild grass species. Conditions necessary for a healthy yield of wheat include mild temperatures, nutritious soil, adequate water/ rainfall, and topography. Wheat requires cold, dry weather conditions. Temperatures around 15℃ are the optimum levels for wheat growing season. 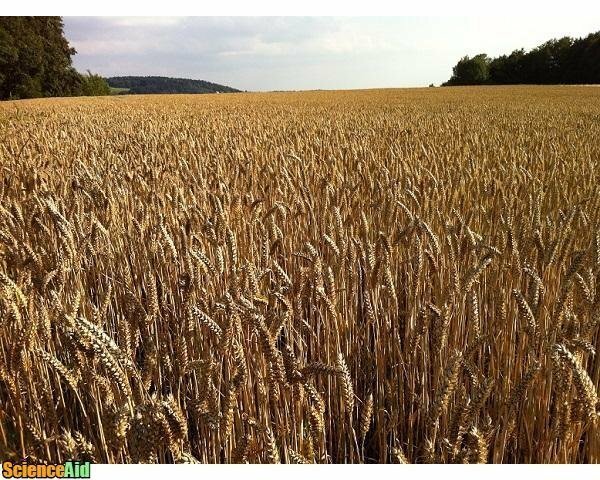 Wheat requires rainfall between 30-100 cm. 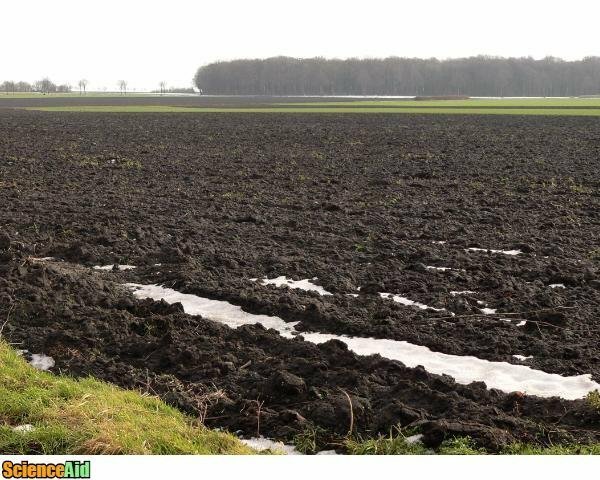 The soil quality suitable for wheat is either light clay or heavy loam. The world's best wheat comes from the chernozem soils in the 'Black Earth' region of the Ukrainian Steppes, and the dark brown soil of North America. Wheat is cultivated over plains and sometimes over rolling slopes. The world's largest wheat lands are the undulating temperate grasslands of Steppes, Prairies, Pampas and the Australian Downs. Wheat is the most grown and consumed crop (directly or indirectly) in the world today. It's global trade also accounts for more than for all the other crops combined. Canada is the world's sixth-largest producer and one of the largest exporters of wheat, annually producing an average of over 25 million tonnes and exporting around 15 million tonnes . Wheat is used as food, feed, seed, and as a processed commodity for uses such as fuel. Wheat contains a protein called gluten which is necessary for the basic structure in forming the dough system for bread, rolls and other baked goods. 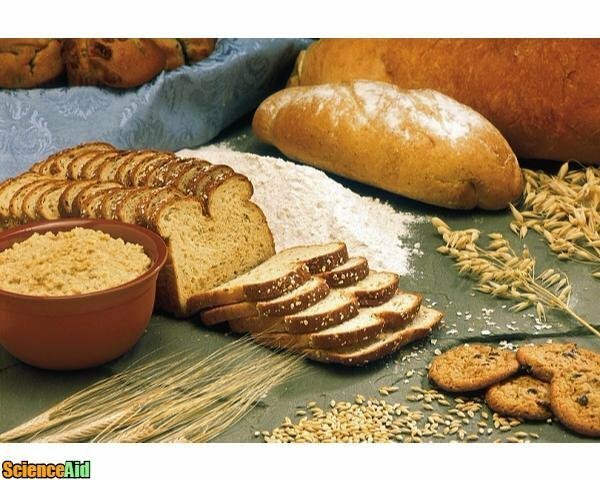 Many of the foods we consume on a daily basis such as bread, cookies, cakes, pies, pastries, cereals, crackers, pasta, flour tortillas and noodles are all made from wheat flour. 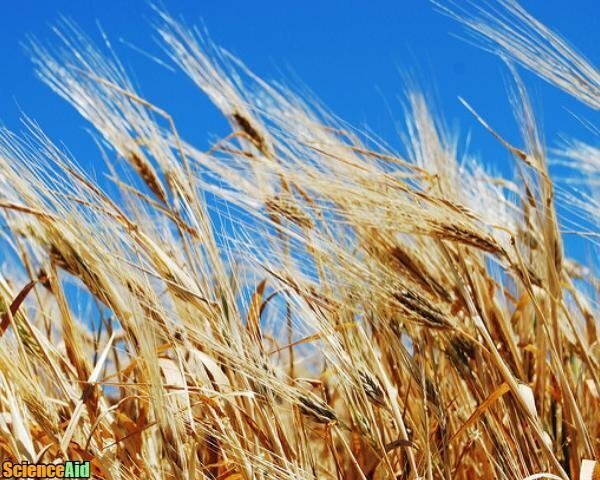 Wheat is used for cattle, poultry, and other livestock feed. It is also extremely rich in protein, and contains 17 amino acids, which are the building blocks of protein. Since 2010, wheat has been substituted for corn and used to produce bioethanol in the UK and U.S. Some strains of wheat are grown to produce starch in South Asia used in textile manufacturing. In many countries, rural houses still use wheat straw to thatch their houses as well as mattresses and pillows. Wheat is also being used for plastics manufacturing and aquaculture feed purposes for both fish and shrimp. Even though wheat is a staple in most kitchens, a growing percentage of people are allergic to wheat or the protein gluten. Gluten intolerance and celiac disease are now said to affect up to 1% of the world population today. Symptoms of wheat intolerance include itchy skin, troubled bowel, bloating, weight loss and vomiting. 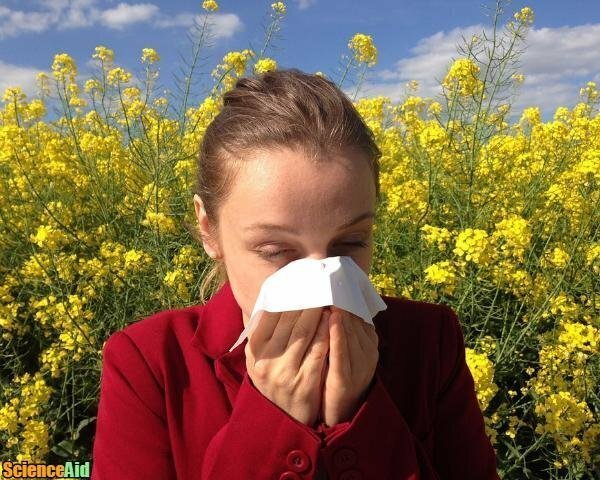 Reasons for wheat intolerance are not entirely known however there are increasing theories that suggest genetic modification of wheat strains have contributed to modern wheat becoming less nutritious and in the case of celiac patients - harmful to health. MLA (Modern Language Association) "Cereal Grains: The Structure & Uses of Wheat." ScienceAid, scienceaid.net/Economic_Botany Accessed 23 Apr 2019. Chicago / Turabian ScienceAid.net. "Cereal Grains: The Structure & Uses of Wheat." Accessed Apr 23, 2019. https://scienceaid.net/Economic_Botany. Thanks to all authors for creating a page that has been read 13,840 times.